If you are currently on the receiving end of a flood and require our emergency flood cleanup service in Jacksonville, call us today at 904-574-5100! We will get to your location in less than thirty minutes. Floods are serious business and depending on the intensity of the flood; you might need just to leave the area outright. If you are dealing with a flood from a body of water and it is an uncontrollable amount of water, you need to look after your best interests first and leave the belongings behind. If the flood is something from a burst pipe and there is a ton of water spewing out from a closeable source you need to follow these steps. First Step: Call us at 904-574-5100. Then follow these instructions. 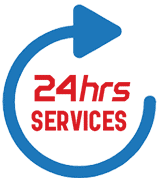 We are open 24 hours a day and service everywhere within the immediate Jacksonville area. Emergency Flood Cleanup is our specialty and if you are in need of our services don’t hesitate to call for a quick, free consultation! 904-574-5100!